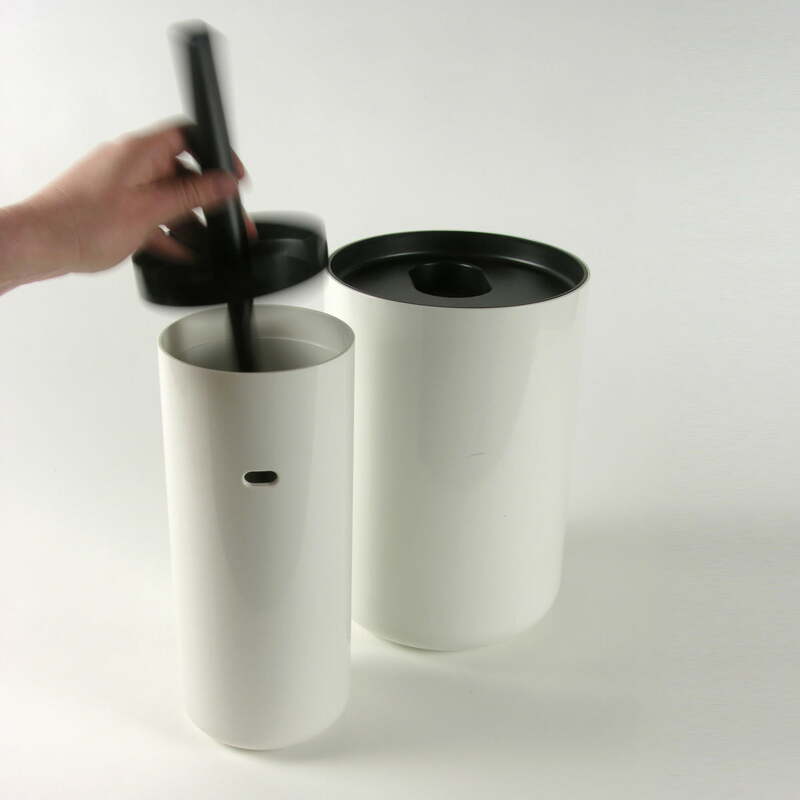 Thanks to a long hole in the brush holder, the Lunar toilet brush can dry faster. 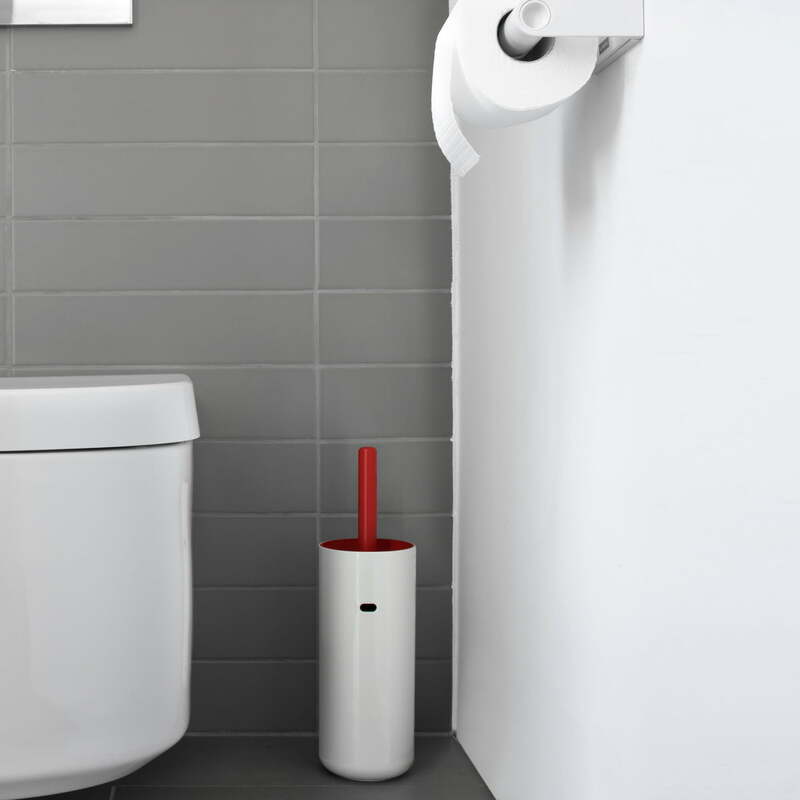 The toilet brush consists of heavy-walled ABS plastic and nylon.Like all other products in the Lunar collection by Authentics, the toilet brush also has a round design without any corners.In terms of colour, the toilet brush fits perfectly in the collection: the holder is designed in simple, high-gloss white, whereas the brush insert appears coloured and matte. 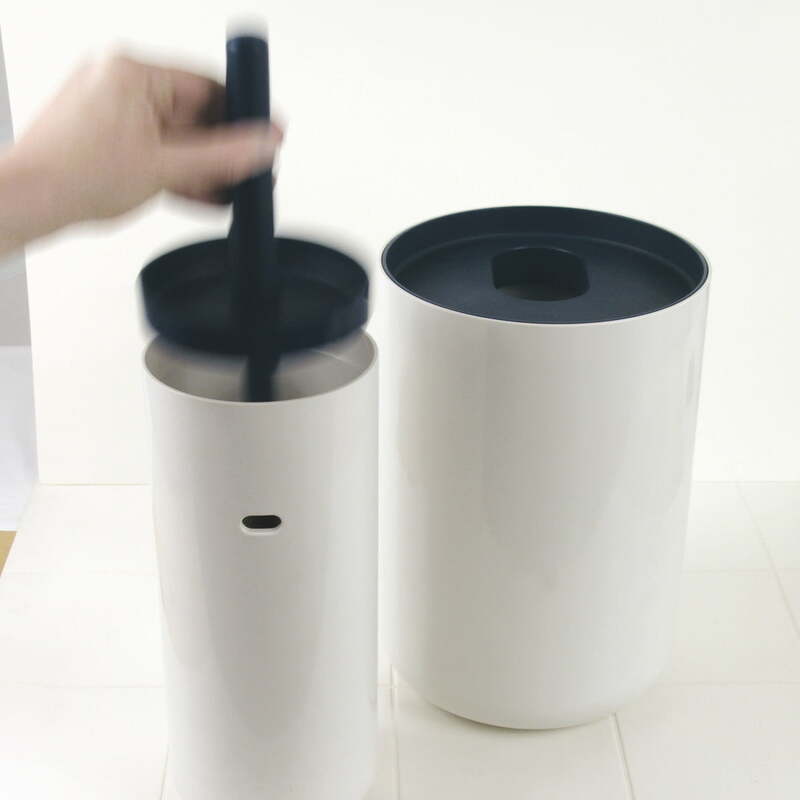 It is a very nice piece in my bathroom, material is heavy and of a very good quality. I like a simple combination of white and white. I would definitely recommended to buy it. 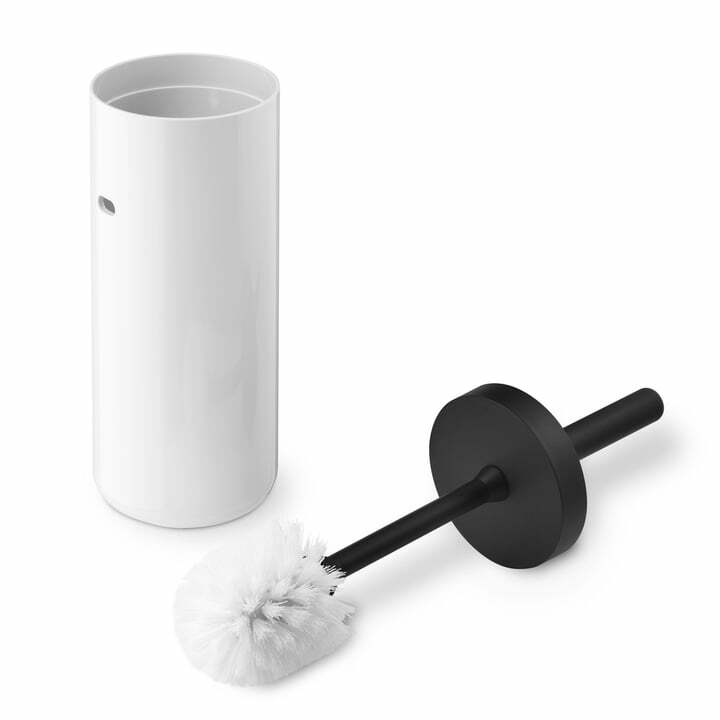 Individual product image of the Lunar toilet brush by Authentics in white with a lid in black.The toilet brush consists of heavy-walled ABS plastic and nylon. 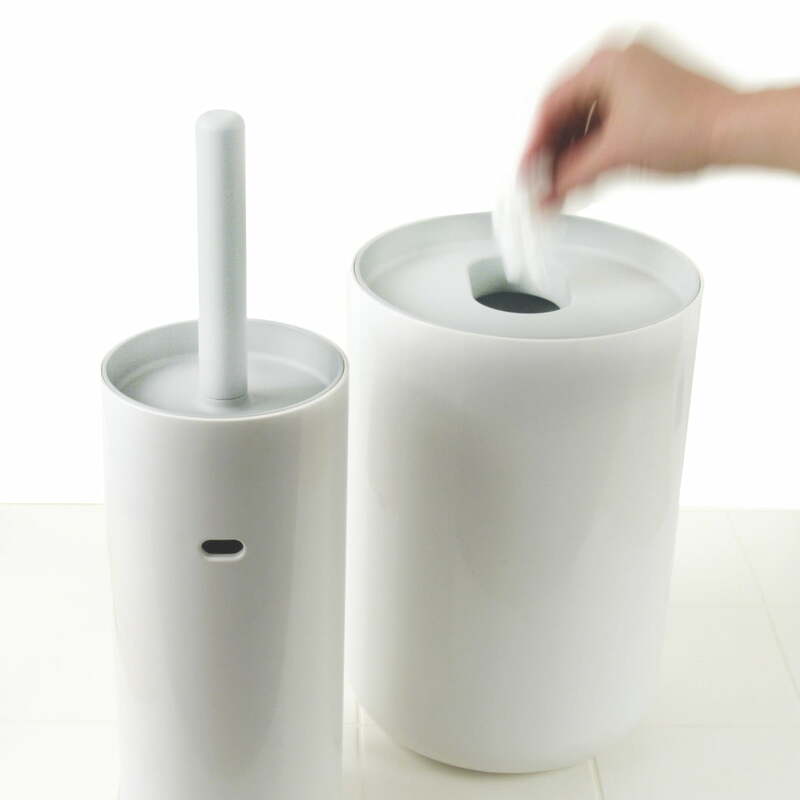 The toilet brush holder from the Lunar collection by Authentics is designed in simple, high-gloss white, whereas the brush insert appears coloured and matte.